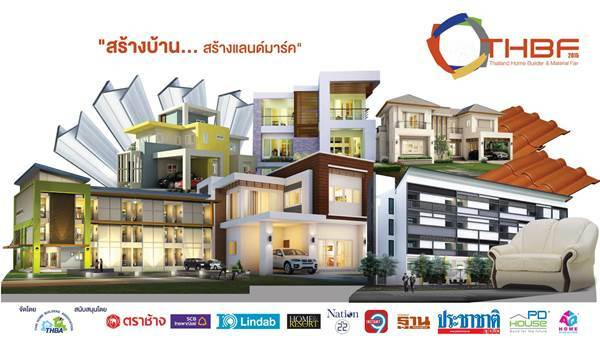 Thailand Home Builder Association products display and exhibition Thailand Home Builder Fair. Home Building and Construction Expo 2559 episode "Chosen House" or Thailand Home Build-er & Material Fair 2016 (THBF 2016) " The only entrepreneur to build a house. Building of apartments. Manufacturers and suppliers of construction materials. Will meet with investors and consumers across the country.